The Syzygium guineense is a popular choice for landscape architects, especially if they require an indigenous species. Also known as the Waterpear, this beautiful evergreen has a variety of features that make it a wonderful addition to different landscaping projects and sites. Usually reaching between 15m and 20m, the Waterpear is often recognized by its lovely pale grey bark in younger trees and its creamy white flowers that blossom from August to December. The dark purple fruits are edible with a pleasant taste, although the bark has been known to be poisonous. 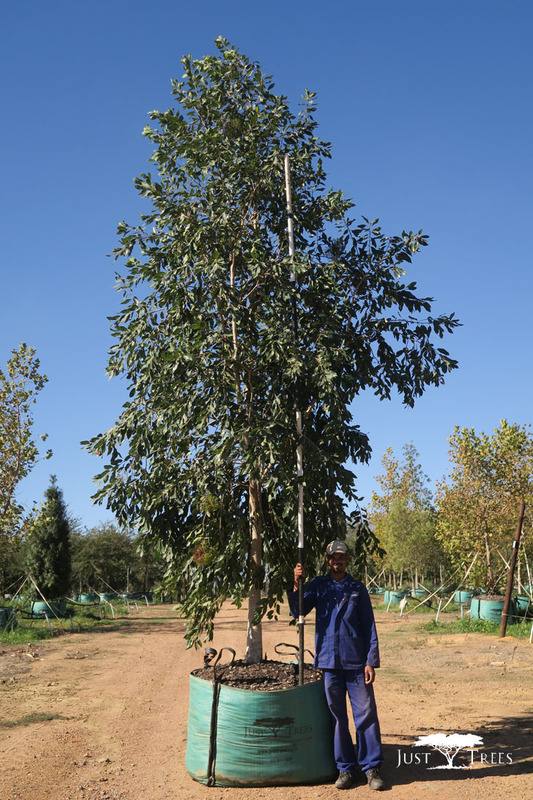 This tree thrives in moist, well-drained soil and can be found across Southern Africa from Northern KZN, through Swaziland and Limpopo, reaching Mozambique, Zimbabwe, northern Botswana and northern Namibia towards central Africa. Its luscious foliage remains green all year round, making this tree a natural option for a shade tree. It can effectively cool down parking lots, houses and of course, people in the hot summer sun. But not only does this tree work well as a shade tree, it can also provide an elegant avenue that remains green all year round. 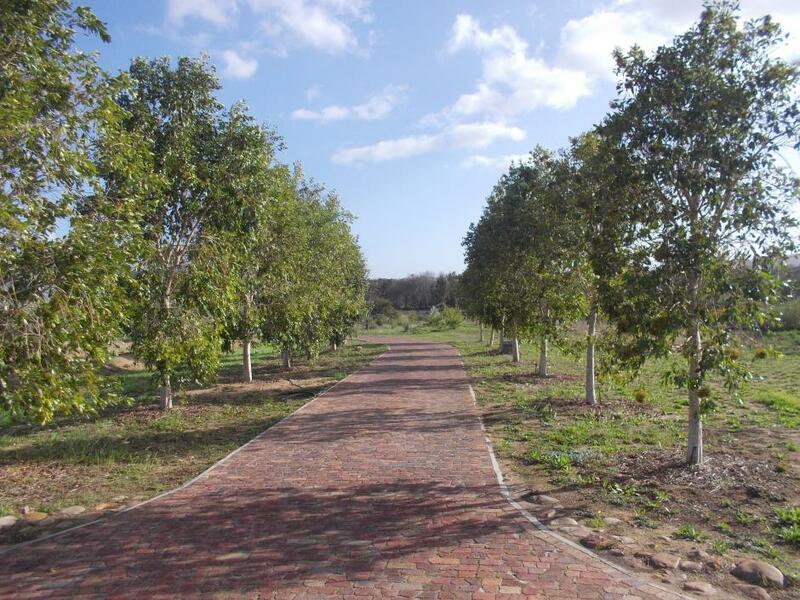 Below you’ll see an example of a Syzygium guineense avenue that we planted in 2015 in Patrysvlei, Stellenbosch, working with DDS Projects. 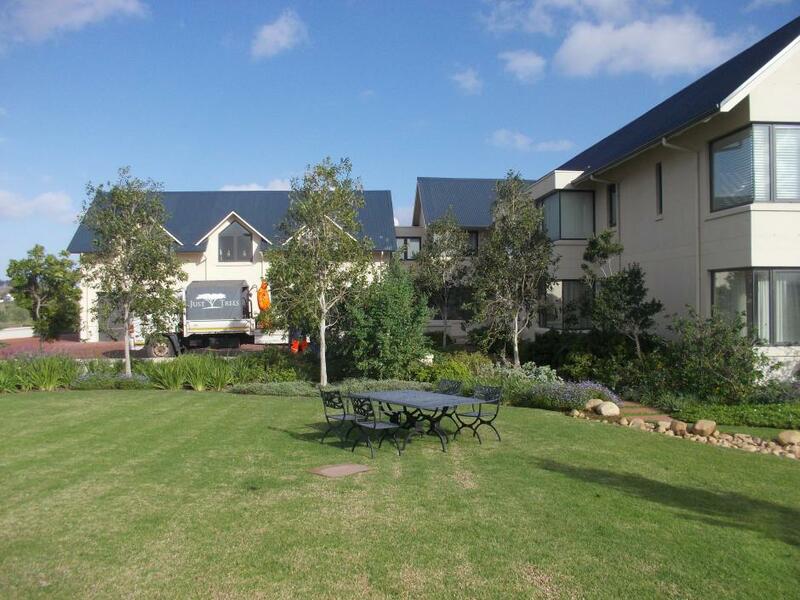 For this same project, Syzygium guineense were planted near a cluster of buildings to provide a screen for privacy, which will also work well as a windbreak or soundbreak. The root system of this tree is not known to be invasive, so it can be planted near buildings. This species also tolerates pollarding, a pruning system that removes upper branches to extra thicker growth. Like its common name suggests, the Waterpear likes water and would do well in a water-logged environment, it has even been known to grow in water and along swamps and marshes. This tree is relatively fast-growing and will enable any landscape architect to realize their project quickly! For more information head to our website.